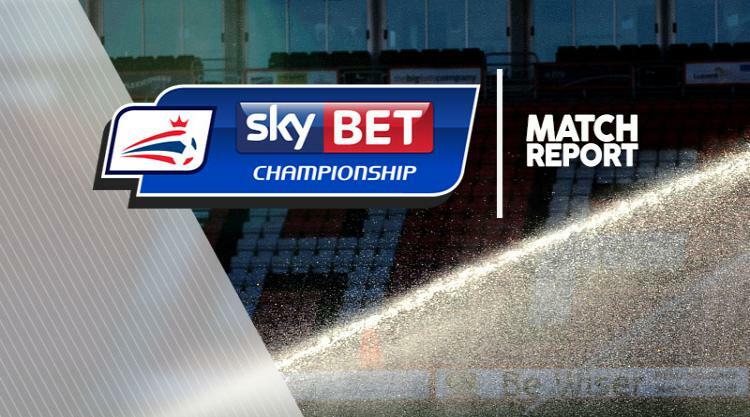 Huddersfield moved top of the Sky Bet Championship after beating Rotherham 2-1 to make it five straight home wins at the start of the new season. David Wagner's side have suffered a slight wobble in recent weeks - losing two of their previous three games - but they have had no issues in front of their own fans at the John Smith's Stadium and maintained their 100 per cent record against a struggling Rotherham side. Elias Kachunga's fourth goal of the season gave Huddersfield a second-minute lead but former Town striker Danny Ward levelled for Rotherham against the run of play after 34 minutes. Nahki Wells quickly restored Huddersfield's advantage and the hosts were grateful for Rotherham midfielder Tom Adeyemi nodding a gilt-edged chance wide five minutes from time. The Millers continued to press in the closing stages but they could not force another equaliser as they suffered a fifth loss out of five on the road. Rotherham carried the worst defensive record in the Championship into Tuesday's clash and their fragility at the back was exposed by Huddersfield inside 90 seconds. The Millers defence passed up more than one opportunity to clear Tommy Smith's dangerous ball in and watched on as Kachunga lifted a close-range effort into the roof of the net. It was just the start Huddersfield needed after Saturday's defeat at Reading and they pushed on in search of a second with Rotherham rocking. But, moments after Kasey Palmer spurned a golden chance to play Kachunga in, the visitors hit on the break and pulled level. Joe Newell found Jon Taylor with a cross-field ball and he whipped a cross in from the right which Ward directed across Huddersfield goalkeeper Danny Ward and into the bottom corner. It was a goal out of nowhere but Rotherham had parity for only four minutes. Izzy Brown lost the ball in midfield and it was quickly in the Huddersfield net as Sean Scannell broke at pace and found Wells, who raced into the box and fired in off the right-hand post. Huddersfield were deserving of their lead at the break but Lee Frecklington shot wide after the restart as Rotherham served a reminder of their threat on the break. The hosts wasted a succession of corners as they continued to do most of the running in a scrappy second half. Nerves began to set in for Huddersfield as the clocked ticked down and Rotherham should have levelled when an unmarked Adeyemi headed Anthony Forde's cross off target. Adeyemi blazed over from the edge of the box as Rotherham piled on the pressure but they are now without a win in six after their latest defeat.